Automation and Artificial Intelligence are quickly securing space for themselves amongst end-users and even key industries. Technology experts and analysts are busy validating their impact in the consumer market or leveraging the same to create better user experience. All factors considered, no technology can deliver expected results unless it is tested and evaluated in a focused environment that brings together the related factors. 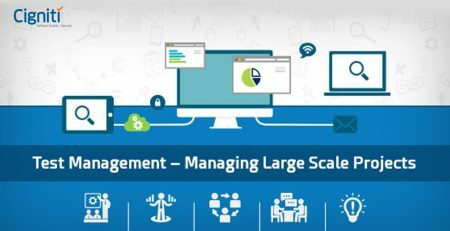 Test Data Management has been enabling enterprises and teams to create a non-production set-up with data sets that emulate an environment in which the application or system can be tested by performing rigorous and valid system tests. Test Data Management further facilitates access to sensitive data, data with business classification, and also enables policy-driven data masking to safeguard it in the development environment. It can be implemented on premises, on the Cloud, and even in a hybrid set-up. This also makes it very much important to manage and maintain the Test Data to avoid any kind of complications during the testing process. One of the key reasons for managing test data is that it helps enhance the quality of the testing efforts on three fronts. During Functional Testing, when you extract a subset of production data to enable data-driven testing or use the correct test databases, it helps testers to waste no time on operational activities and make the process more efficient. During Performance Testing, automated test data management enables faster testing with easy availability of data. Performance testing needs stability, load, and a chain of continuous tests where test data has to be available on a consistent basis. During Service Virtualization various components need near-to-real test data in order to simulate the behaviour of the live environment. For this, test data sets are required for effective virtualization. It is equally important to manage or standardize the Test Environment, as testers tend to lose a lot of time in standardizing the test environment, resulting in setup issues and delaying the process. The environment needs to be absolutely dynamic in nature and stay responsive to any sudden needs. This helps test teams to ensure that they are delivering good quality product with a validated test management process, ensuring optimization of available resources. In most of the cases teams tend to use generic data sources for testing, which dilutes the testing efforts. Every application/system needs focussed data to narrow down the testing process. Hence, while managing the test environment it is important to develop a seamless sharing mechanism and segregation for effective distribution of data for diverse testing needs. It can be achieved by developing a repository or link that connects to the different folds of data. The segregation of data can be done on the basis of its priority or usage patterns. While maintaining the repository new and updated data sets can replace the old ones. Taking a cue from the first point, it is important to keep the test environment updated with new and fresh data sets. The environment might be used from time-to-time during end-to-end testing, which might result in a mix of old and fresh data. Hence, basic sanity is critical for speeding up the tests for individual teams and fixing up any expected gaps in the data sets. Most of the organizations have a global support team to maintain their test environments. However, there are chances that the site could have a downtime at a local level for any upgrades. This implies that global teams need to ensure that all the environments go by the latest standards that have scheduled power or network downtimes. It will help ensure smooth accessibility to the test environment. 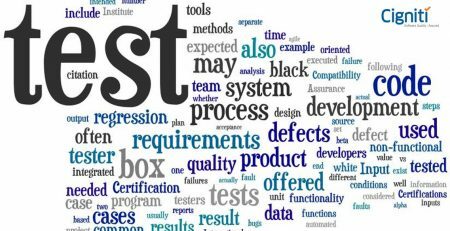 While maintaining the test environment there are bound to be issues that will need proper attention. These issues need to be directed to specified subject matter experts for effective closures. For this very reason, the responsibilities need to get efficiently assigned within the maintenance teams. For instance, there should be a process to raise tickets or service requests to the right guys (internal or external vendor) for speedy resolution of issues. Resources are needed by every team. Hence, if possible, environments should be virtualized as much as possible. Once the test activity is done, the testers can share the various components and make a new testing bed for further testing. It can have a dedicated OS, database, middleware, test framework, and much more that can be optimized by other teams. Hence, resources can be shared effectively. It can result in a good amount of cost-effectiveness. Regression tests are required for every release cycle. Thus, with every regression test, the test environment evolves and new frameworks are introduced. There are chances that the tests need to be performed in similar environments with similar components. In such cases, automation of these tests helps, where frameworks can be used to run these tests. Additionally, it will also bring stability to the test environment. In the most practical sense, implementing automation frameworks helps to enhance the performance of the test environment and brings down the efforts of the testers. So, the defects that are detected are purely with reference to the code that gets tested and not the process of testing it or due to any discrepancy in the test environment. There is a serious need to control the factors in the test environment and at the same time include what’s necessary and expected in a live environment. Synchronously, enterprises need to control the costs and optimize the resources. 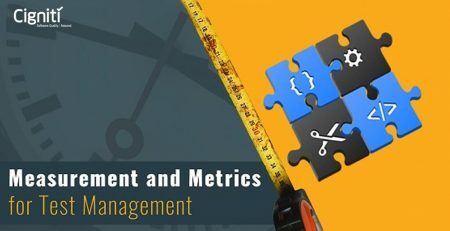 Test Data Management enables to control various factors in the non-production mode and brings added efficiency to the software testing process. It is equally important to maintain the test environment to ensure that the results are in line with the objective of the project. Adhering to protocols and building governance will do the trick. Connect with us to Improve test effectiveness by using accurate test data, Institutionalize test data management process, Implement test data creation and simulation, Automate test data management & Protect data sensitivity.